Addix and ESPN 96.1 are teaming up again to bring you the Addix Half-Court Challenge. 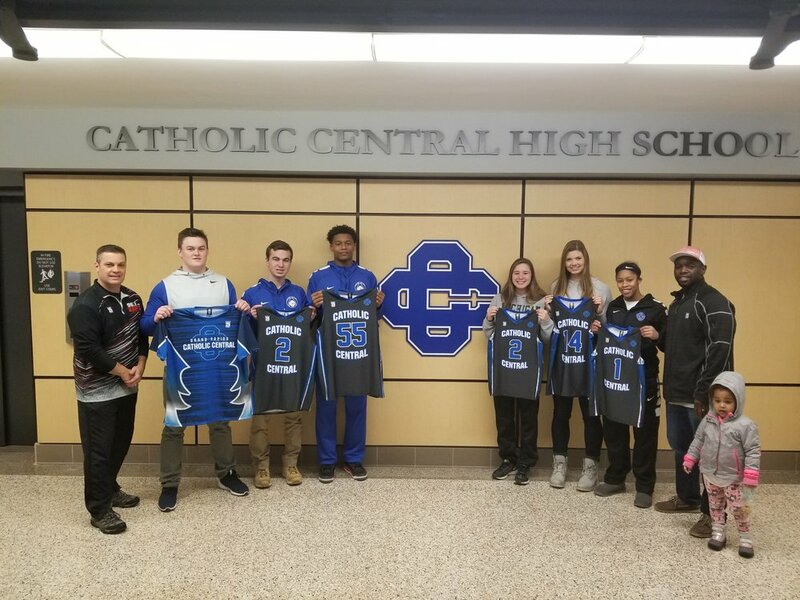 Addix is prepared to give away a combined total of $30,000 in basketball jerseys to some lucky West Michigan High School Basketball Teams. THREE teams won last year. Grand Rapids Catholic Central, NorthPointe Christian, and Calvin Christian. After the shots were made, we got to work on the custom designs the schools wanted, and our production team was able to get them to the schools the next week! Pumped to deliver these cancer awareness and military tribute jerseys to @npcmustangs! We will be having sign ups at our booth during the varsity boys game and into the 1st quarter of the girls game. Prior to halftime we will announce the student representatives for each school.